German education is very much about extracting the best and finding the right talent out of the individuals. Free education for all is given from kindergarten to university level. Kindergarten starts as early as three years old but usually one or two years later. From age 4-6, kids will enter primary schools. They will stay at the primary school up to 10 years old. Students are graded according to their performance. The grading system is numbered from 1-6, the best students are graded 1 and the worst students are graded as 6. After primary school, schools are categorized into three groups. These schools decide the vocational traits of each individual for their future career. 1. Hauptschule: This school is for low grade students which is just weaker-average group of students. Just normally able students will be sent to this school. 2. Realschule: This school is for middle graded or above average students. 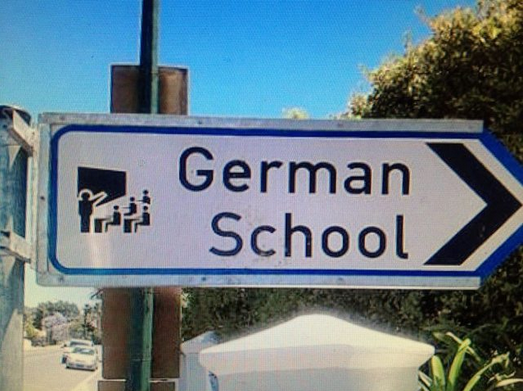 Those mid-graded students will be sent to this school. 3. Gymnasium: This school is for the well performing students. After high school level, students from this group of schools will go to university for further study. A. FOS (Fachoberschule): Two years course in specializing on particular subjects like “Economics” as an example. B. BOS (Berufliche Oberschule): Three years course, in vocational line. Entering to university and subject choice of study depends on the grade-score gotten from high school. If students have the same grade-score, then authorities look in other criteria such as holding extra diploma, certificates earned from volunteer work, student exchange program, any civic related programs or experience gotten from company. Mathematics learning is at very high standard in German schools. Students generally start learning English from 5th grade and two other foreign languages are added from middle school. From university level, students learn more additional foreign languages such as Chinese. Class size ranges from 11-30 students. On an average, 15-20 is usual class size. Punctuality is norm in German society. A late of 2 minute is in trouble. 45 minute is the length of a class period. Usually class starts at 8:00 am and finishes at 1:00-1:10 pm. During this learning hours, there are two breaks. First beak is for 20 minutes 9:40-10:00 am, and another second break for 5 minutes from 11:25-11:30 am. Germans are serious on duty. They use time very carefully and efficiently, and students are not allowed to use mobile phone. Students will keep phone switched off even if they bring it in the classroom. Using mobile phone during classroom is considered as very rude behaviors. Classes are quiet, and test could be given any time without prior information. So, students must get ready any time for evaluation. Projector, blackboard, white-board, overhead projector are standard things inside the classroom. There is separate IT (Information &Technology) learning classroom with computers and Internet connection. Lesson review is normal for every class as a reminder of the previous lesson. They don’t waste time bringing events and celebration to schools such as related to culture, society during learning. Lunch is eaten after school. Most of the students will go out to the town for lunch. School bus service is available. It is totally free education from kindergarten to university. Extra-curricular activities are after school activities. Usually there are music, art, and dancing classes after school. Normally homework is assigned everyday for most of the subjects. Students get help from teacher or senior students as tutoring with small fees. With these serious and hard work, German students have high stress level. But in spite of all these serious learning atmosphere, they enjoy the freedom of “no uniform rule” in the class. They can wear whatever they like, whatever haircut as long as it doesn’t look beyond acceptable manner. – Identify the talents of pupils at early age and send them in the discipline where they are good at. – Introduce different vocational skills learning centres without discrimination on particular subjects. – Remove rote learning education system. – Stop learning only for examination. – Support students if they are good at any disciplinary area such as sports, handicrafts, art, music, cooking, dress making, etc without removing the learners from school when they got fail in one subject such as maths or science. This will prevent dropout number from school. Individual success comes when the personal interest is fully nurtured. – Alexandra Junk – She is a teacher assistant. At time the of writing this article she teaches at Pathumwilai School Thailand. With different educational background, we have interest in different areas. Chingakham Dina is more interested in education and teaching to shape human resource. Arambam Karamjit focuses more on business and ideas of income generation. Mrs. Khwairakpam Sunita’s interest is more on social issues and contemporary needs of the society. Being team writers, the three writers discuss and carried out research to produce the final outcome of writing. To My German Friends: If you are interested in improving your English skills, check out a piece titled Mark’s English Grammar Shortcuts. It will months, maybe even years, off your study time!